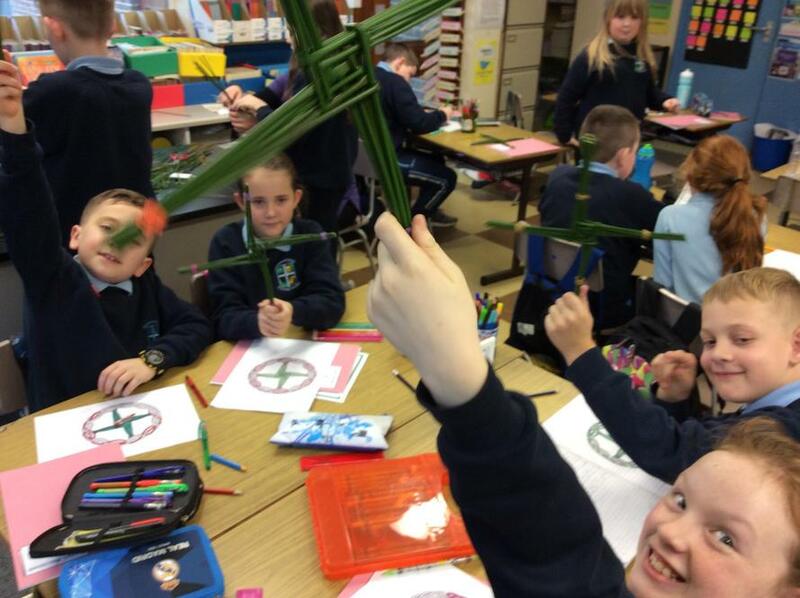 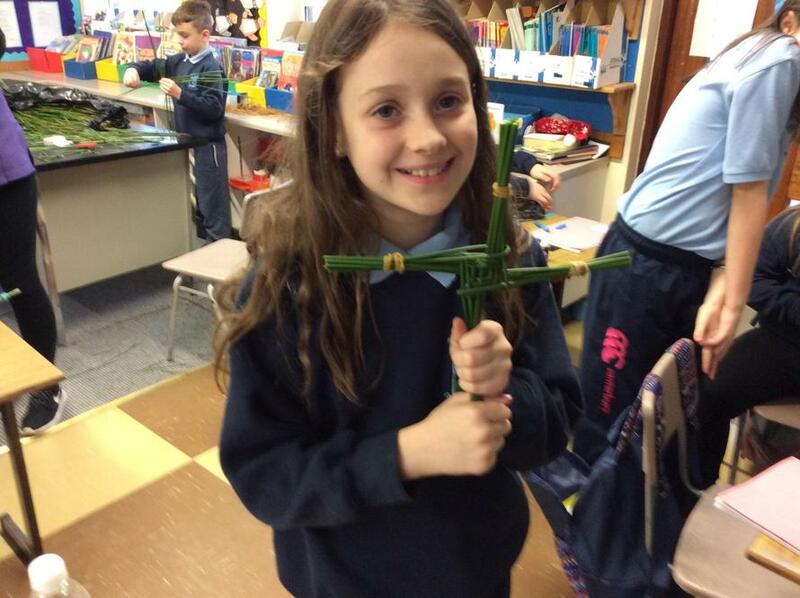 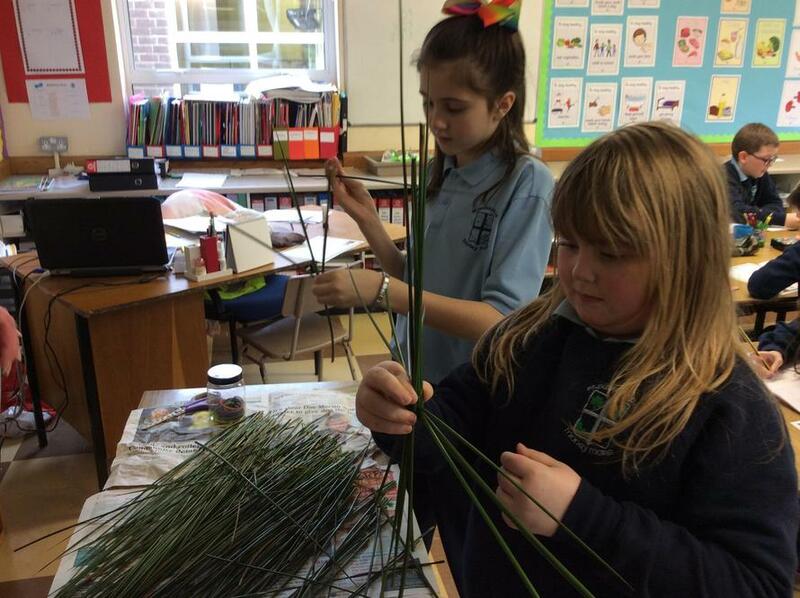 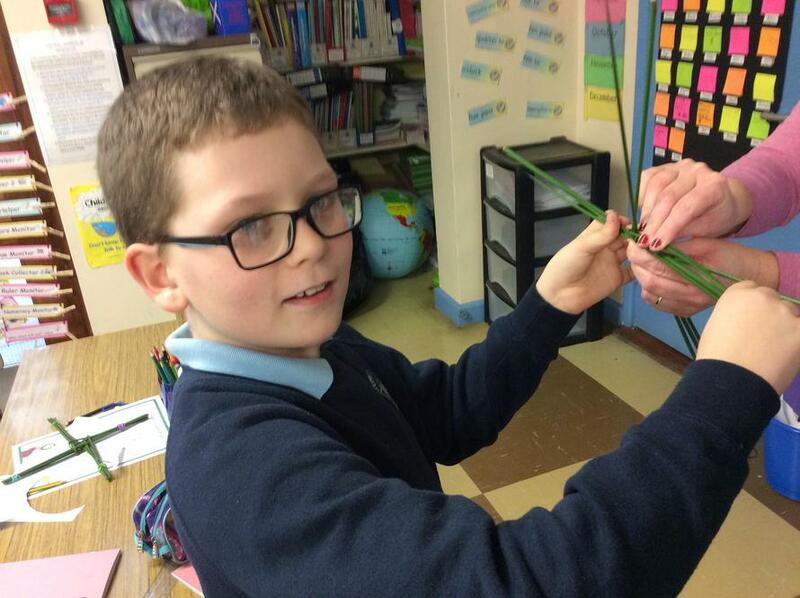 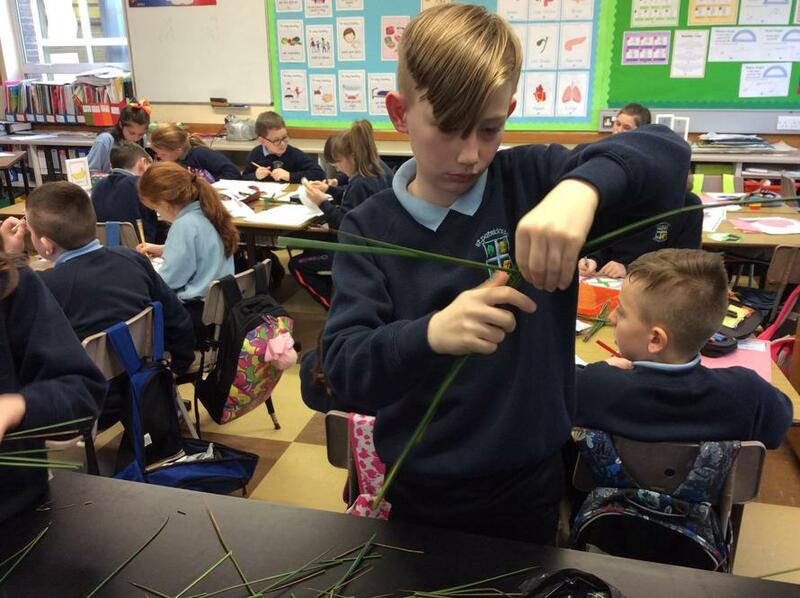 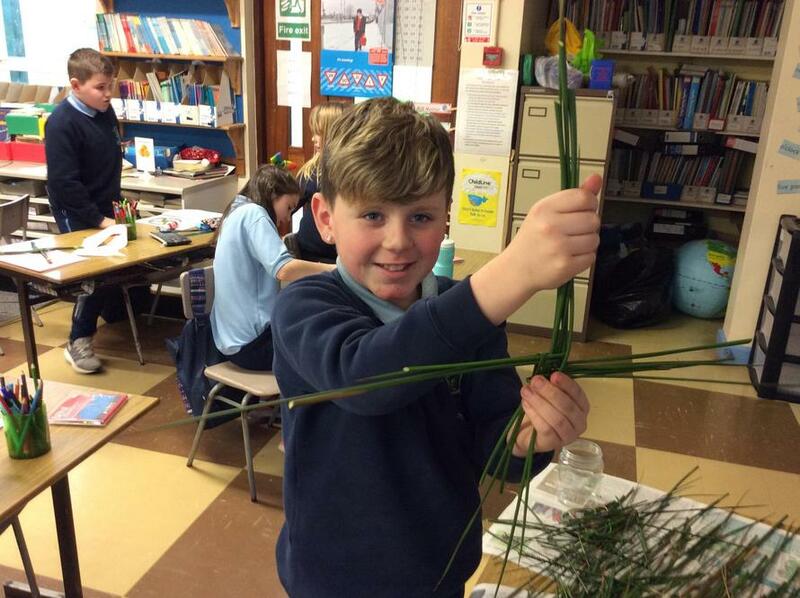 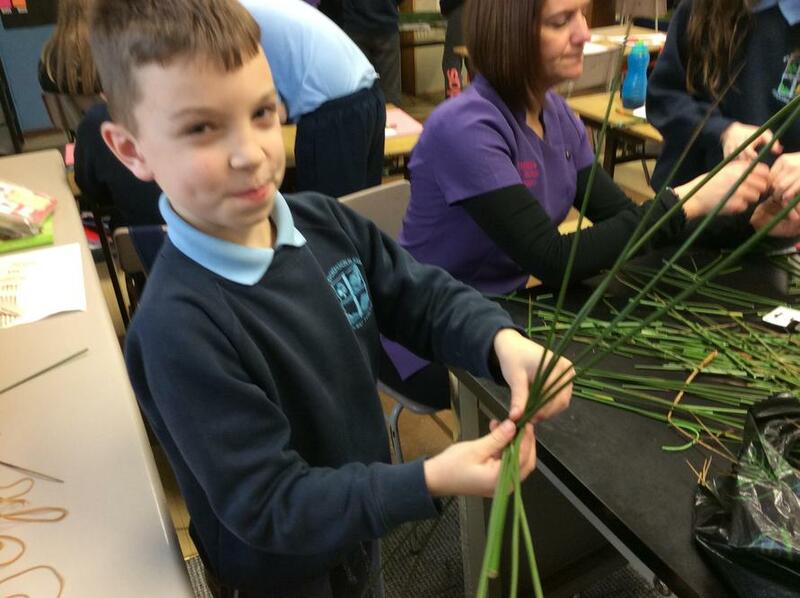 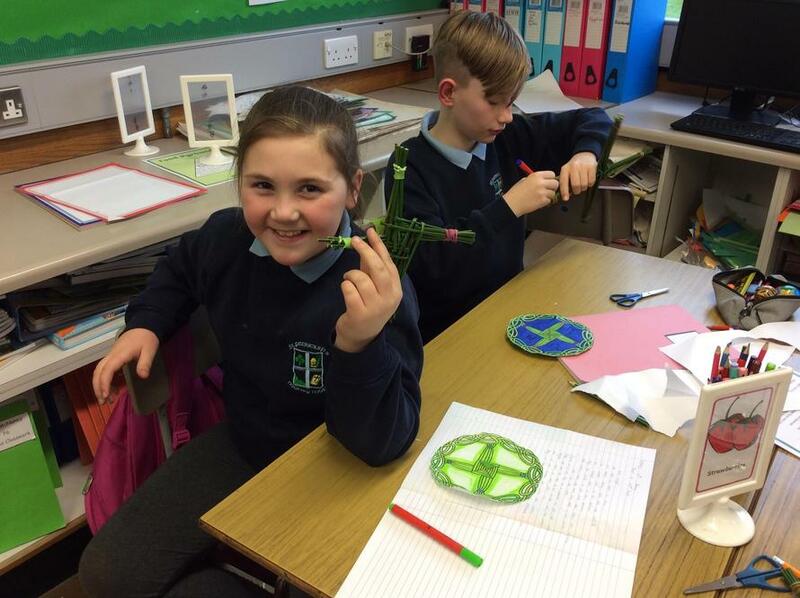 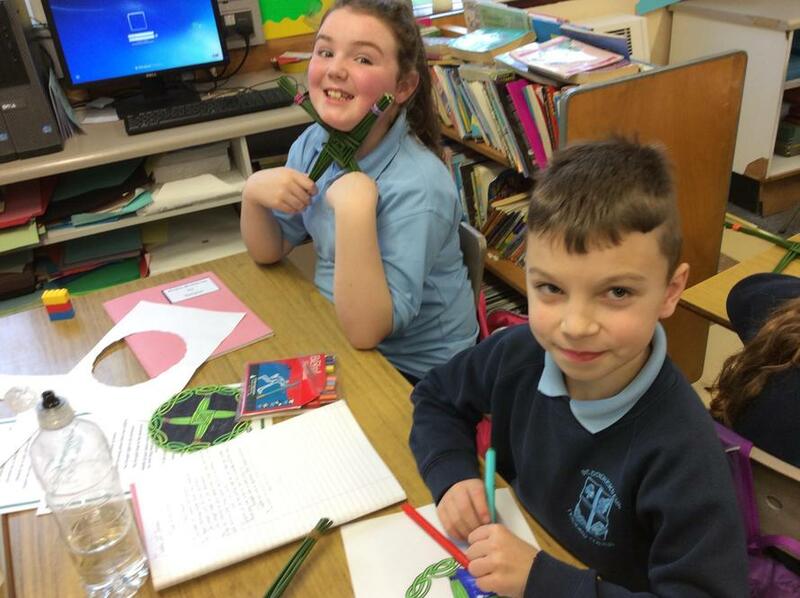 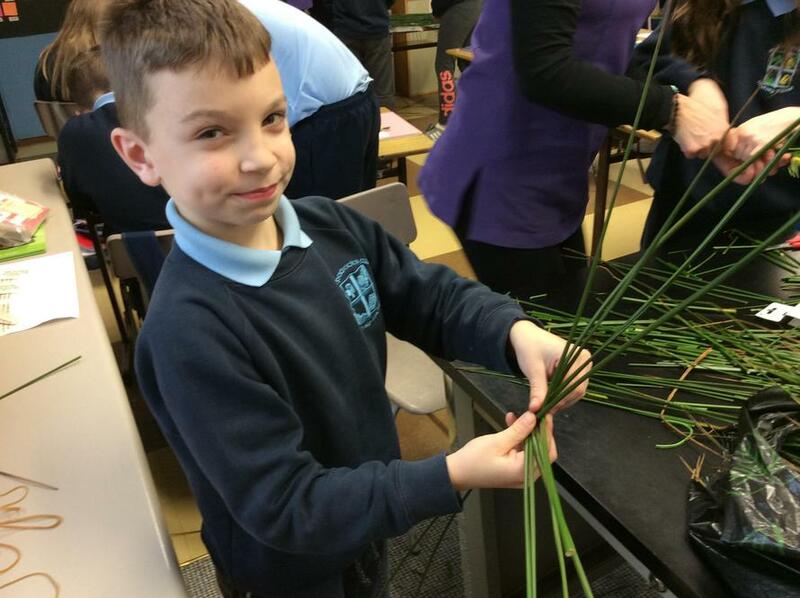 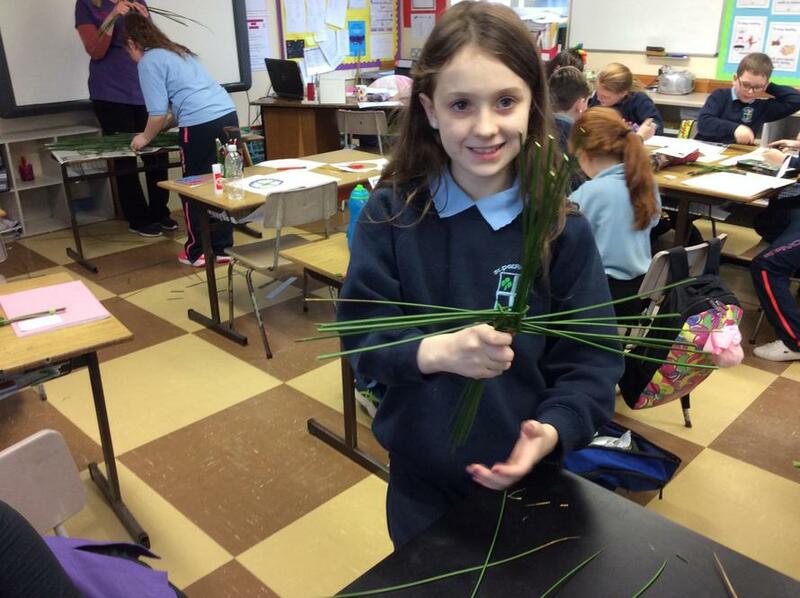 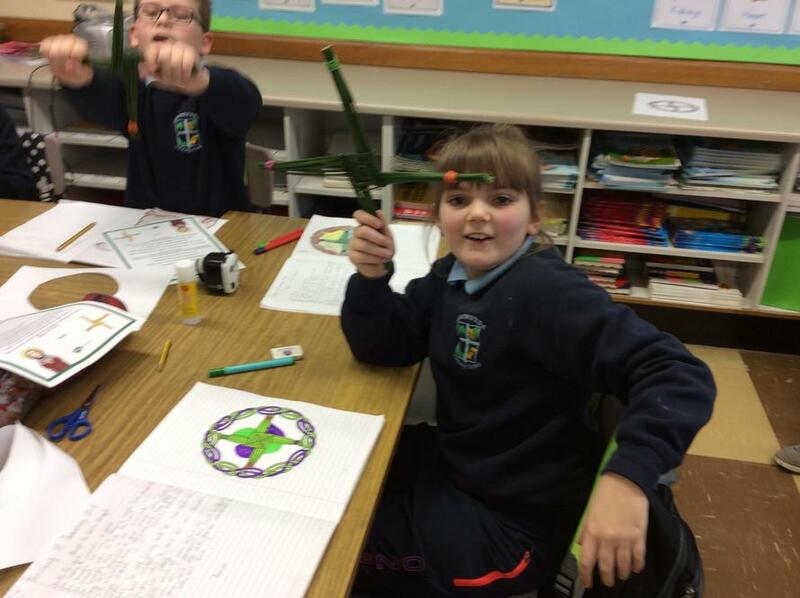 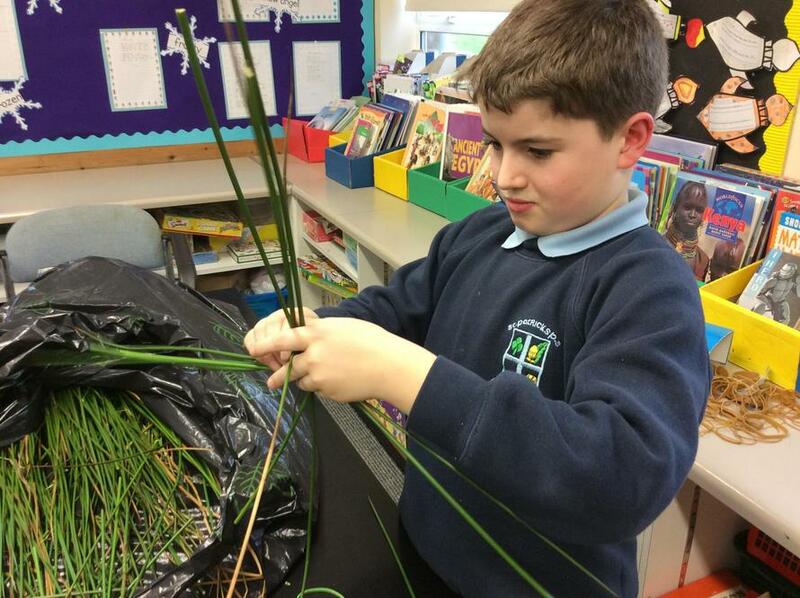 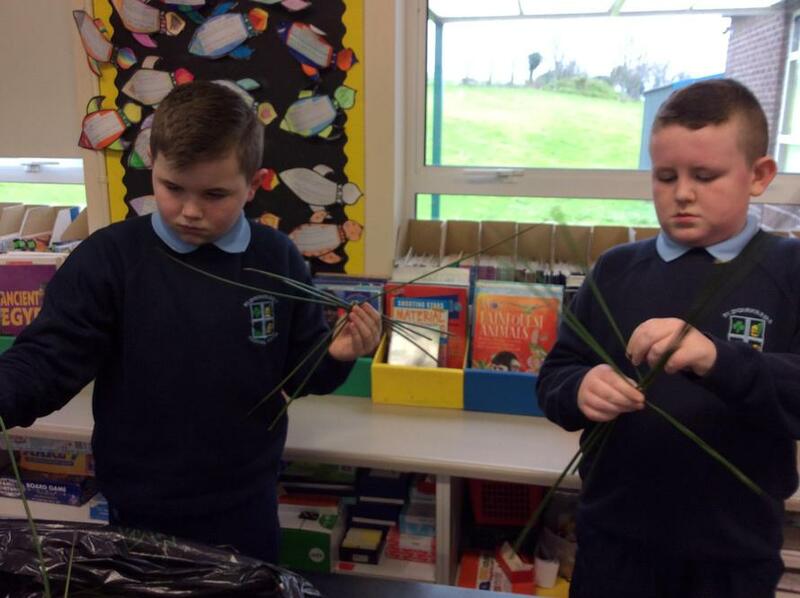 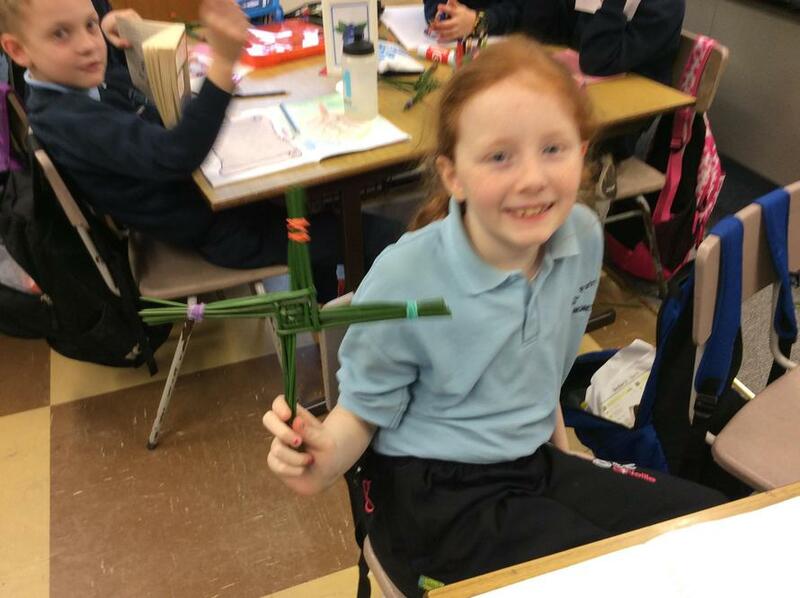 To celebrate St. Brigid's Day, we learned how to make St. Brigid's crosses. 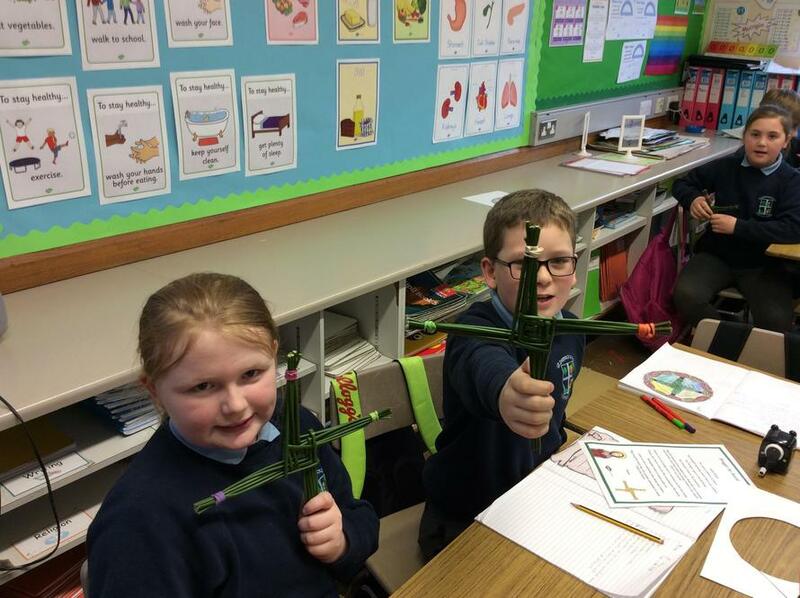 We were very proud of how they turned out! 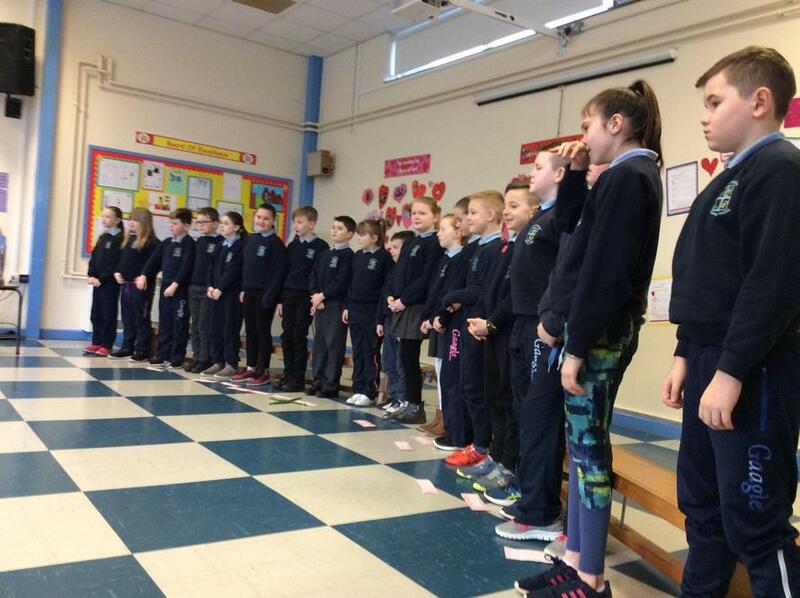 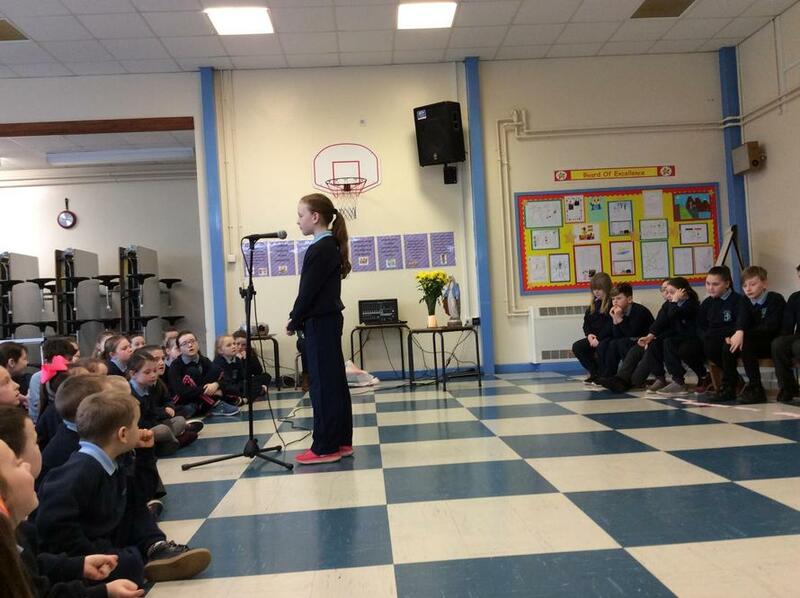 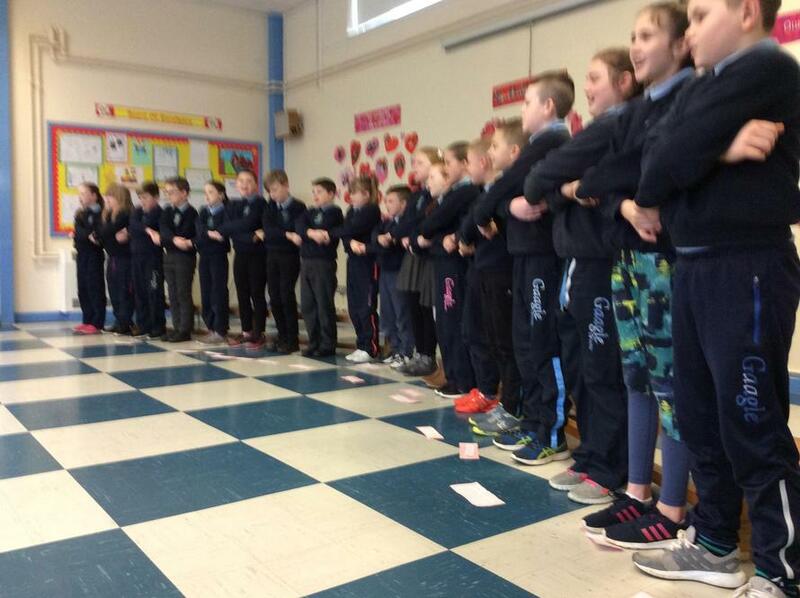 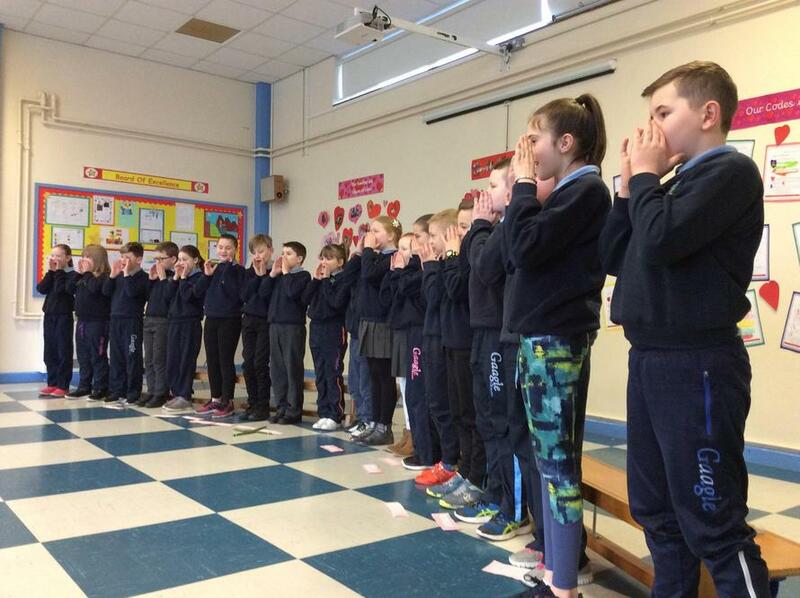 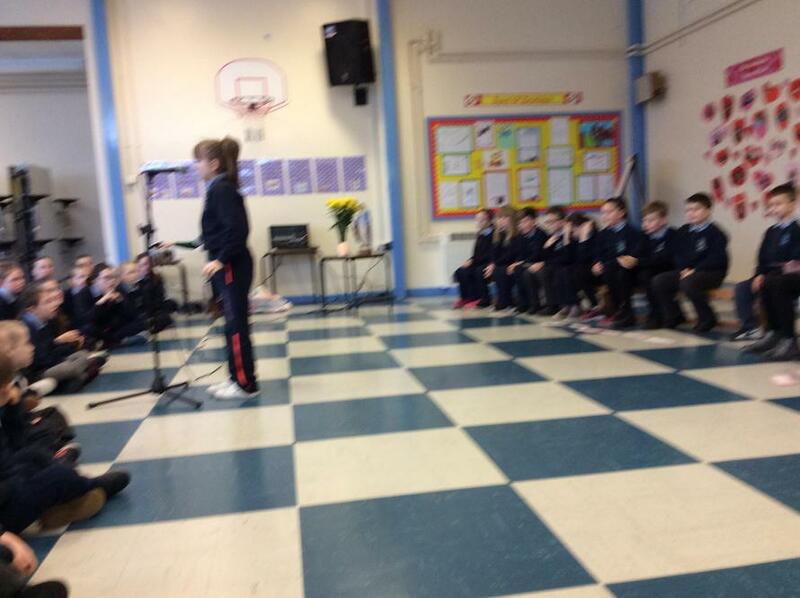 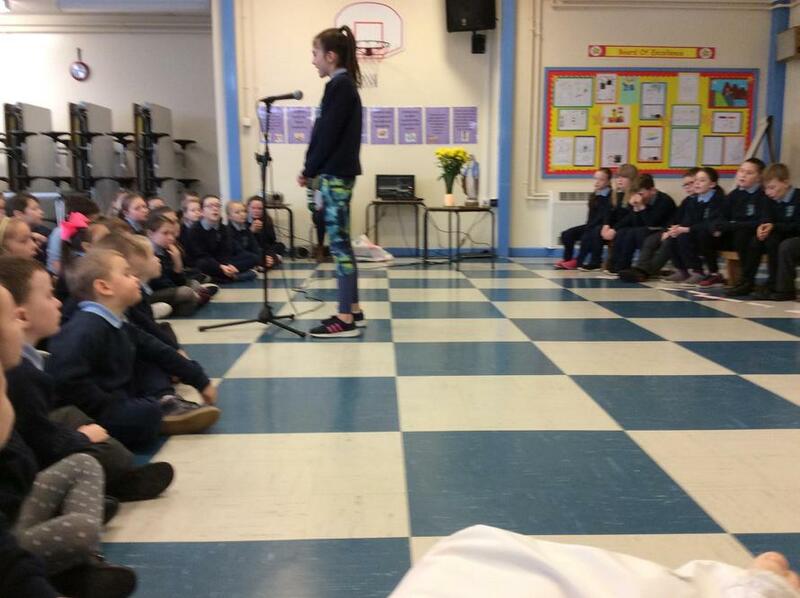 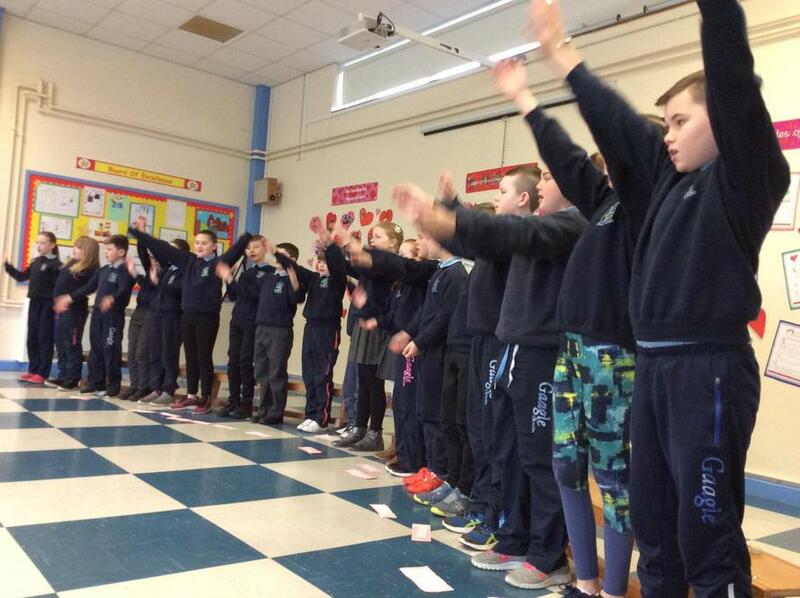 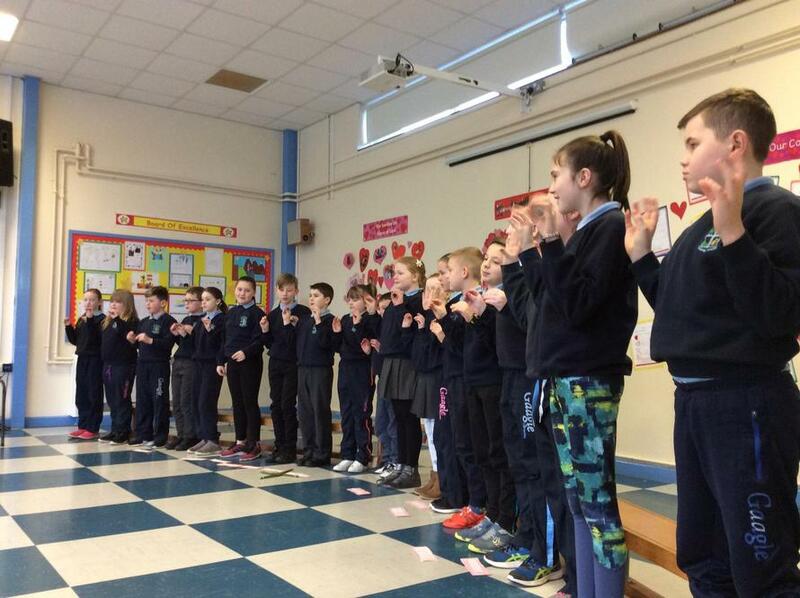 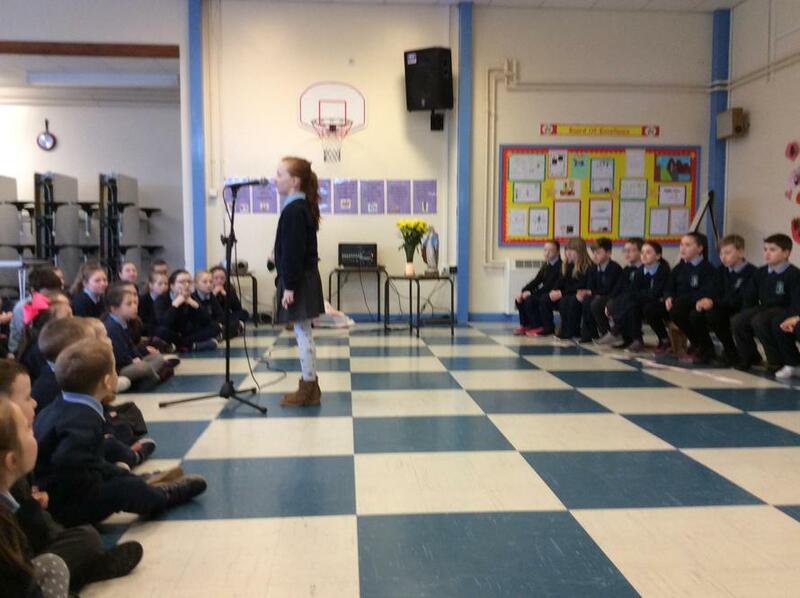 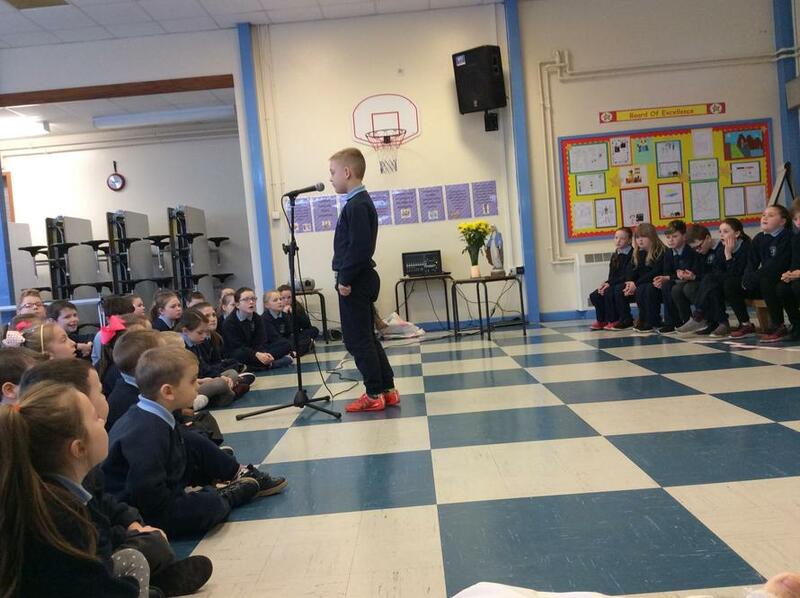 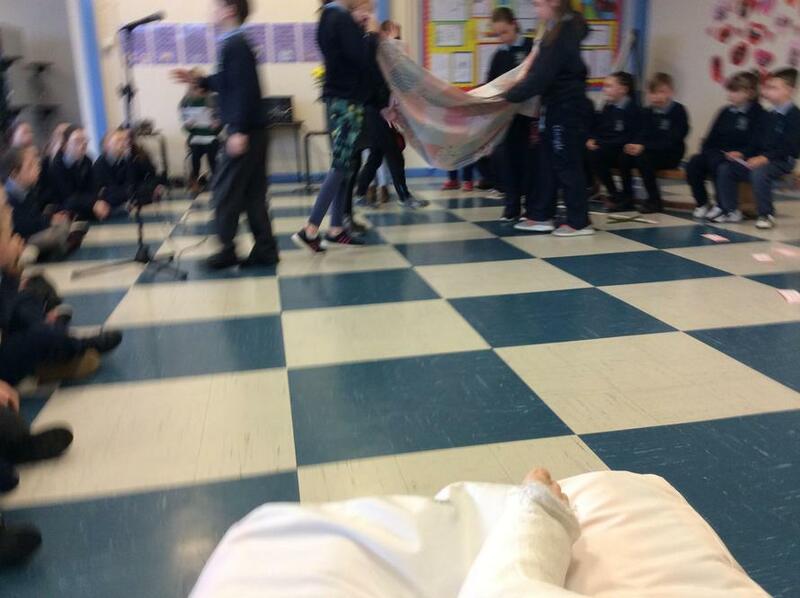 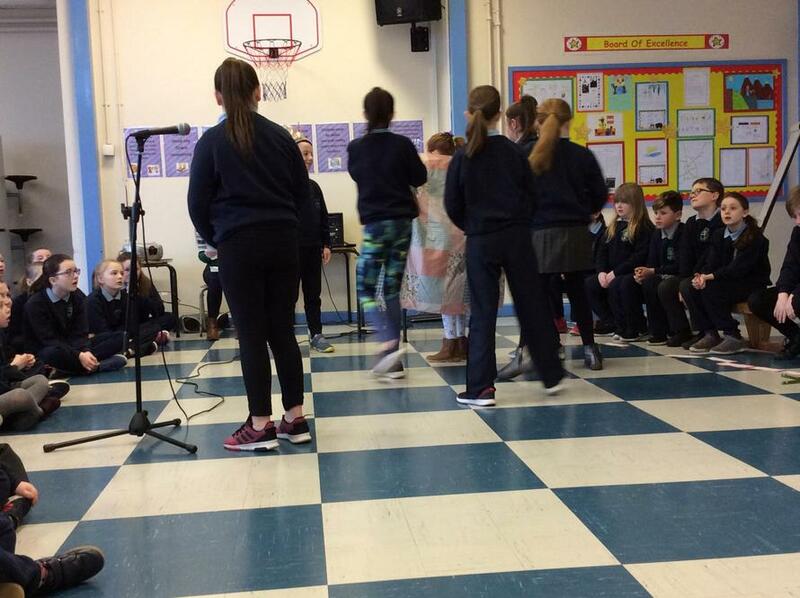 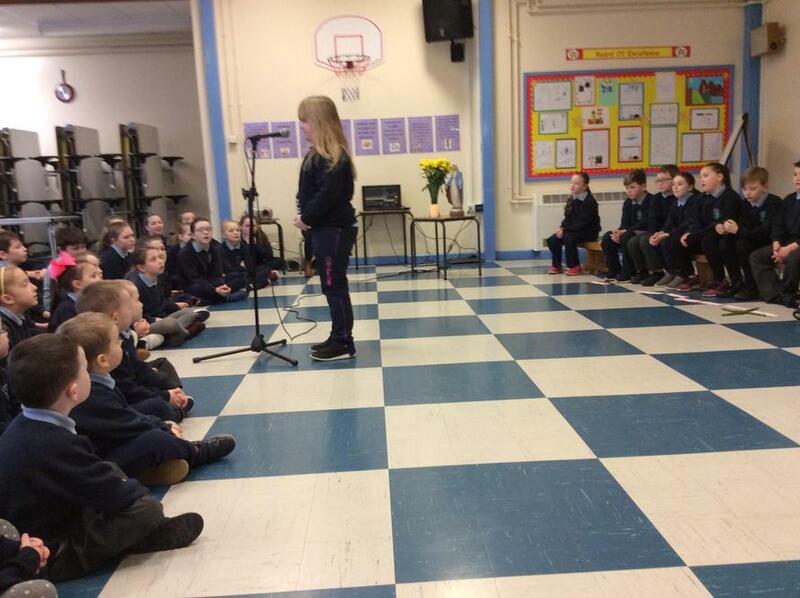 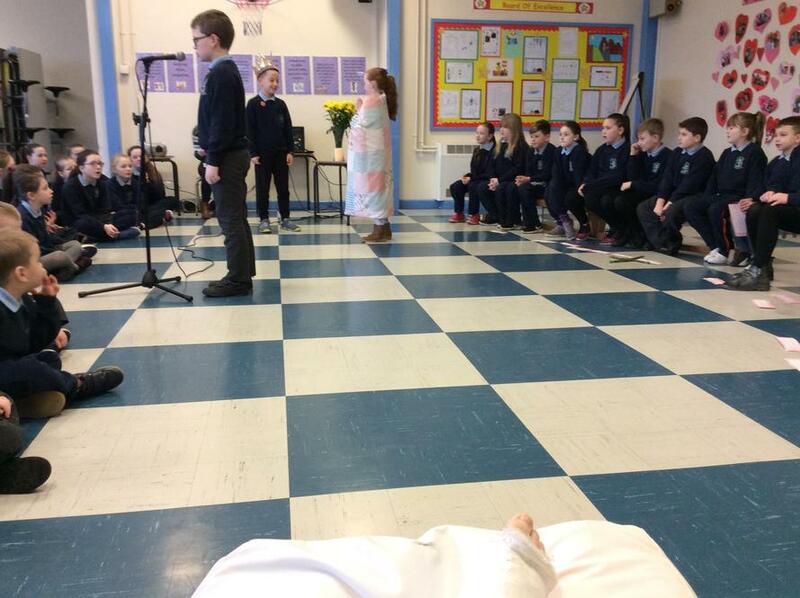 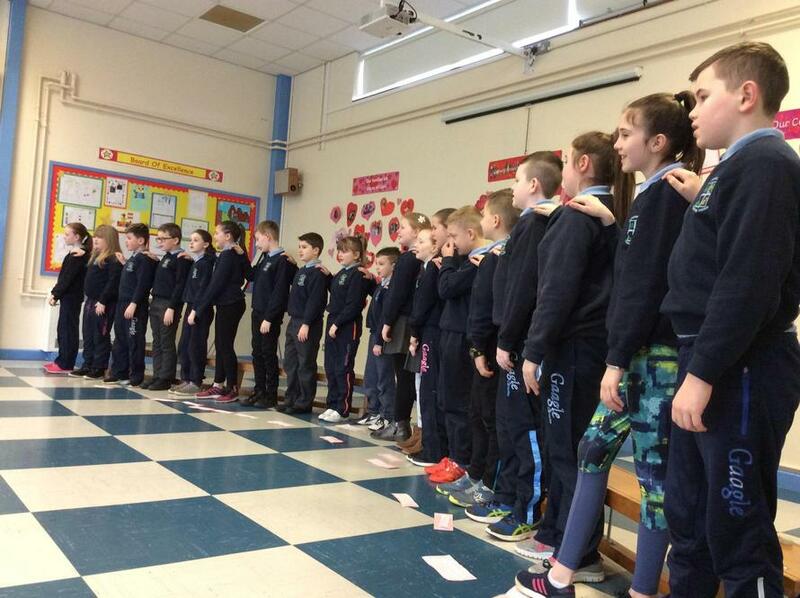 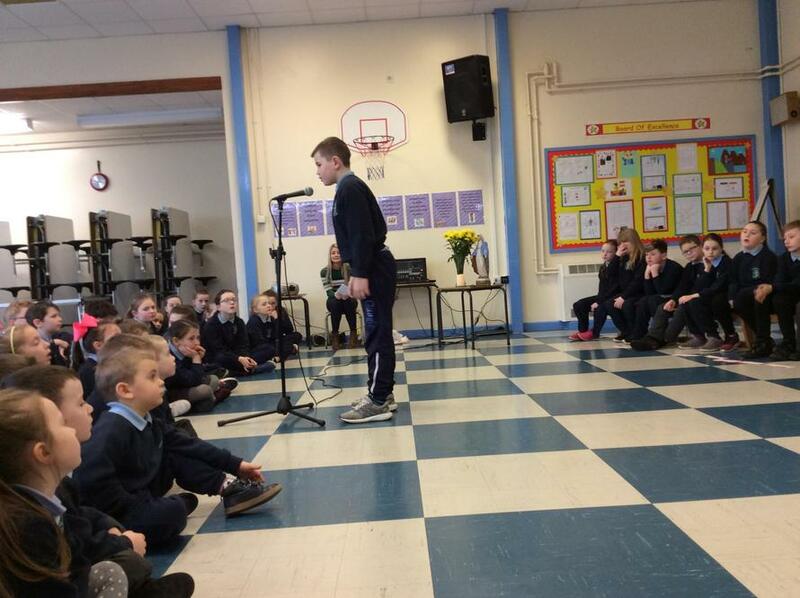 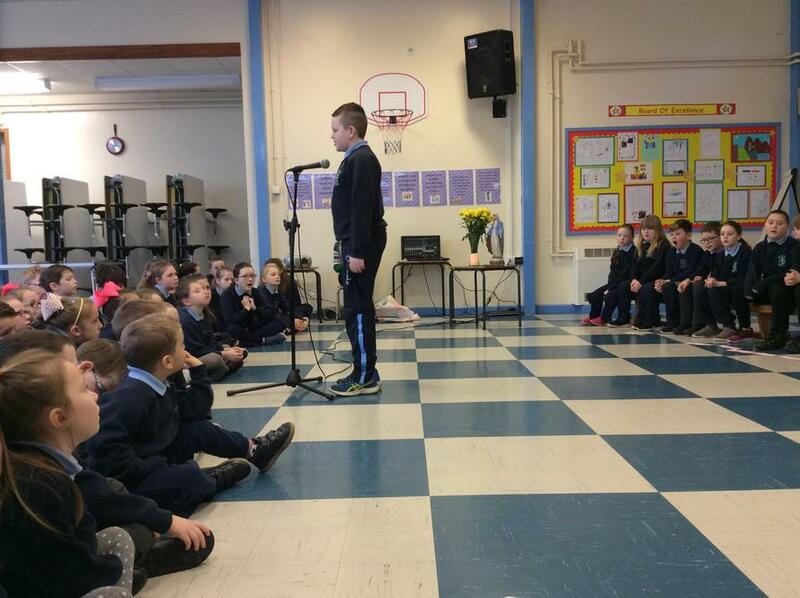 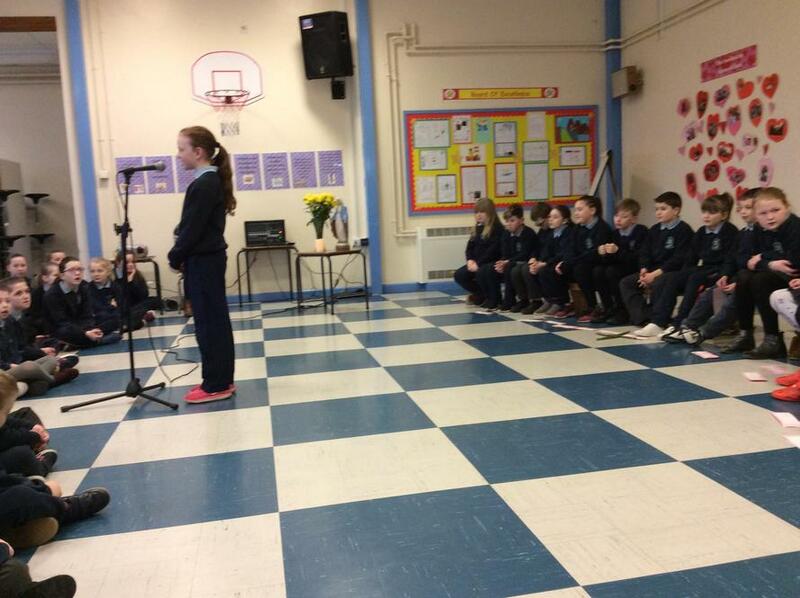 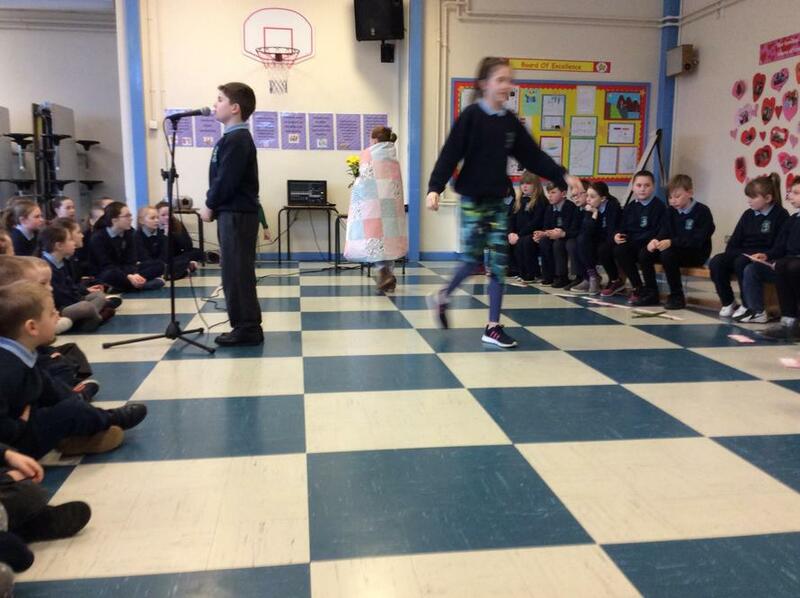 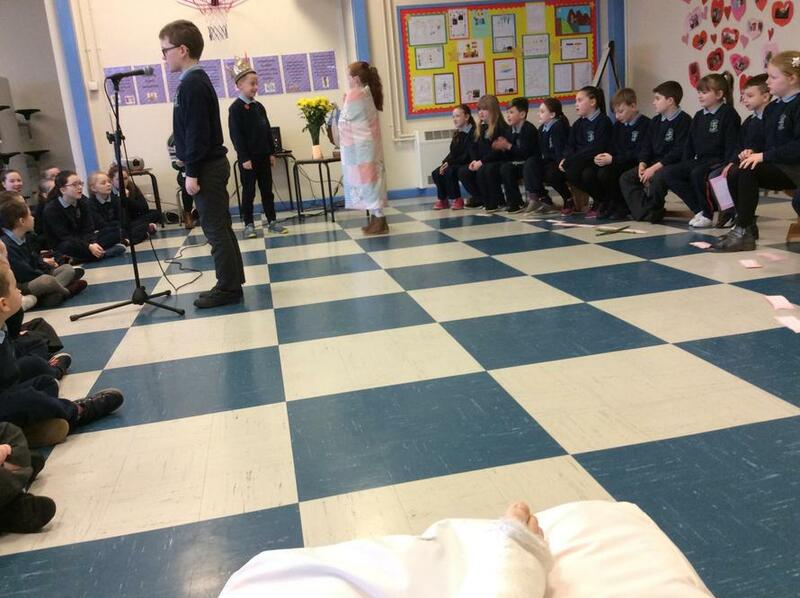 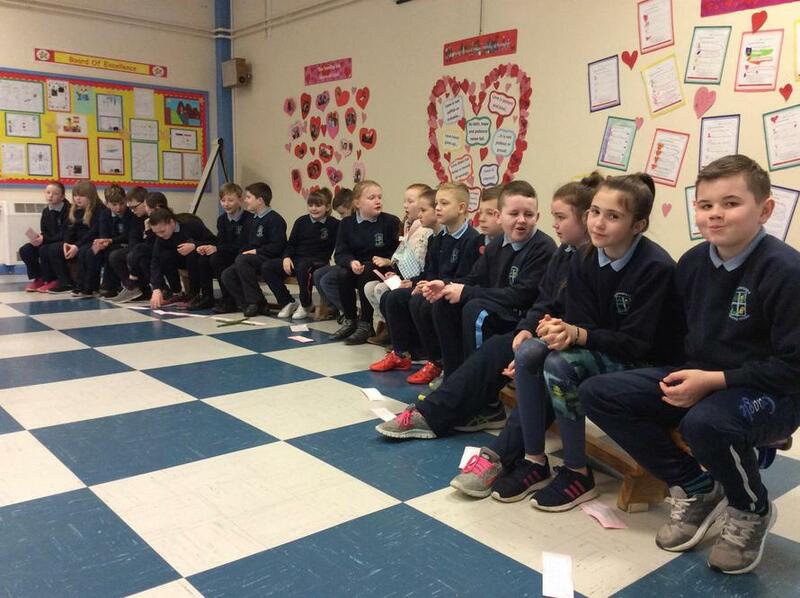 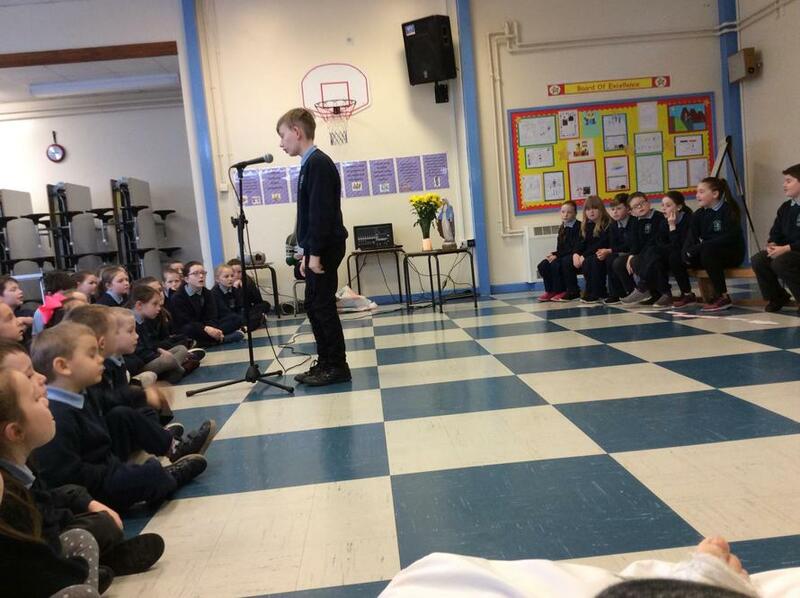 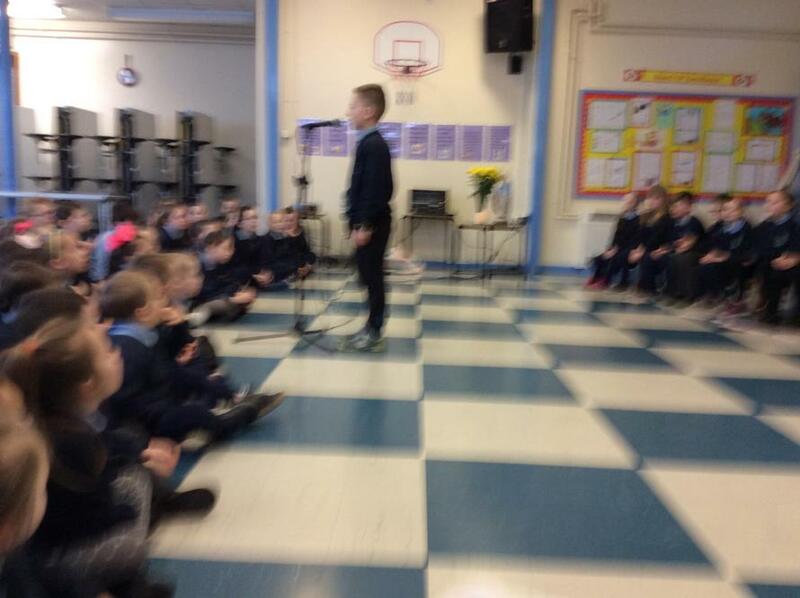 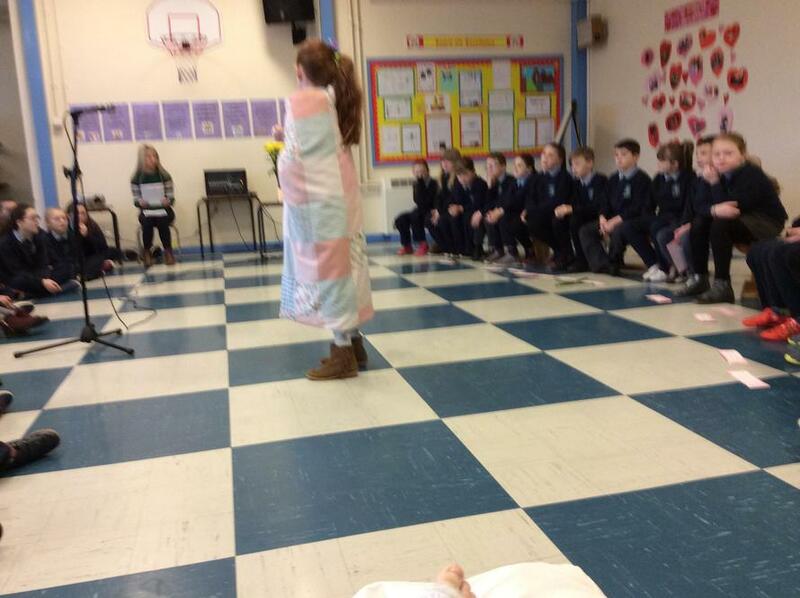 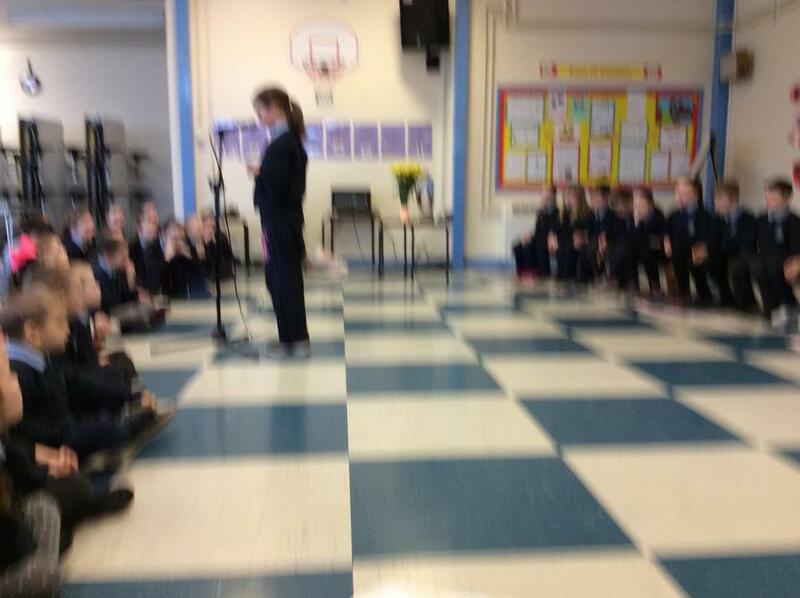 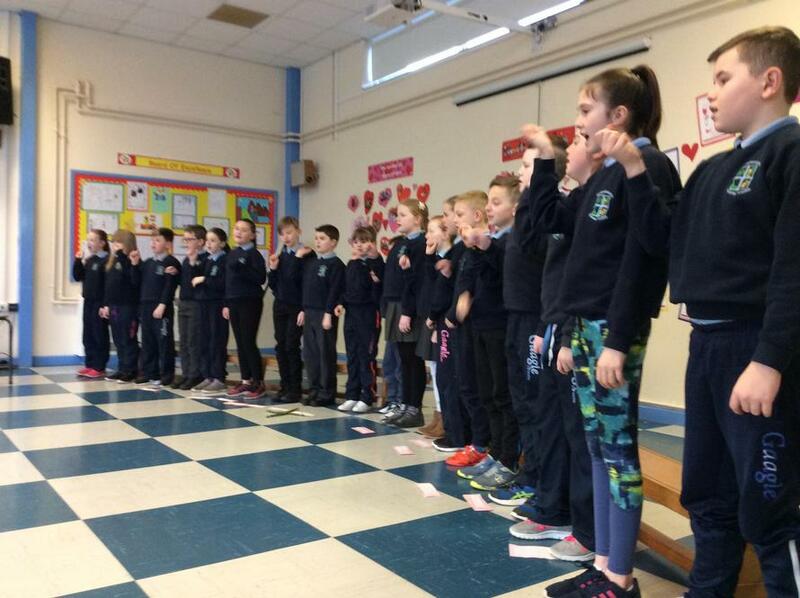 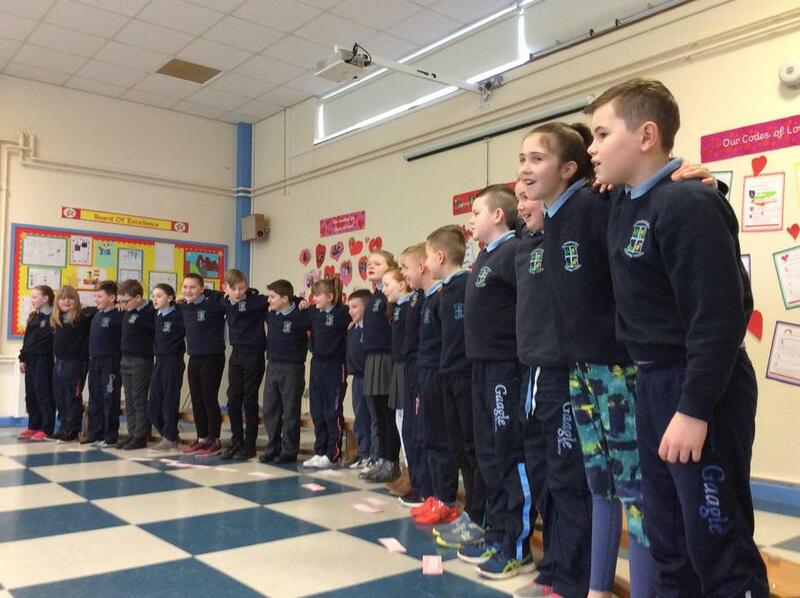 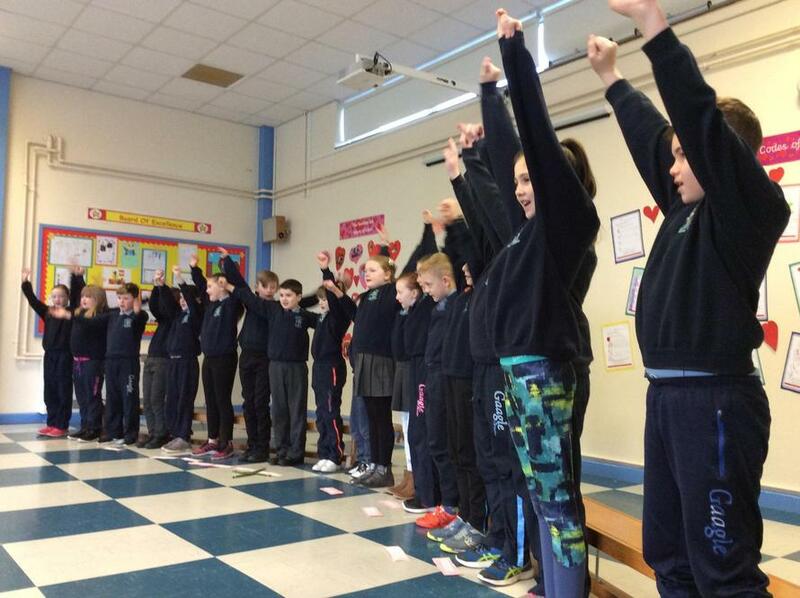 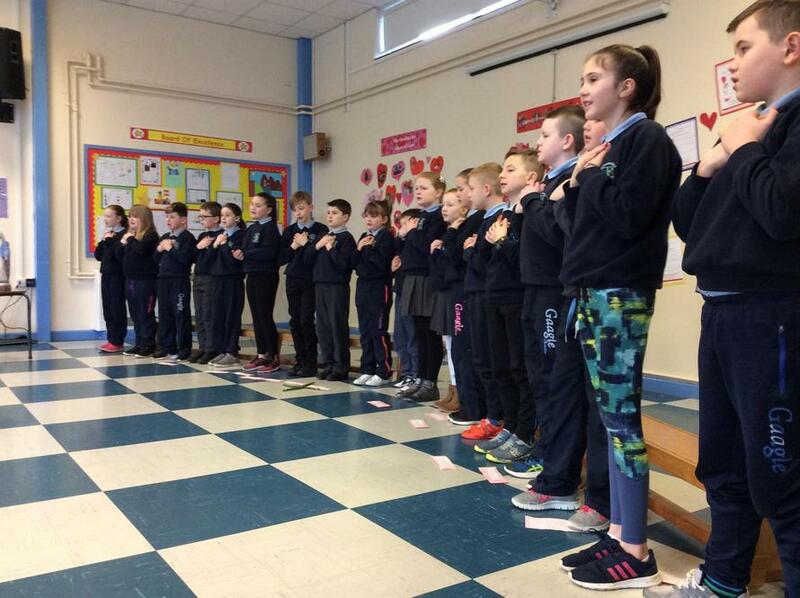 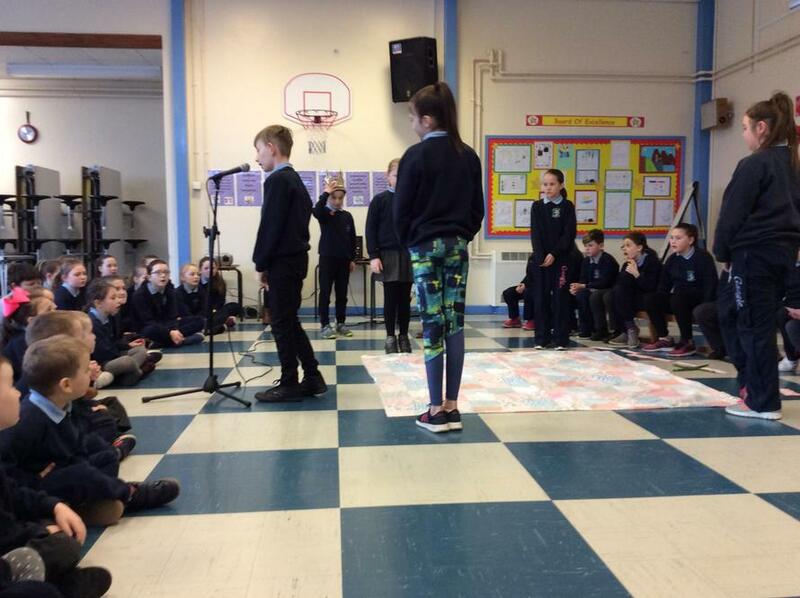 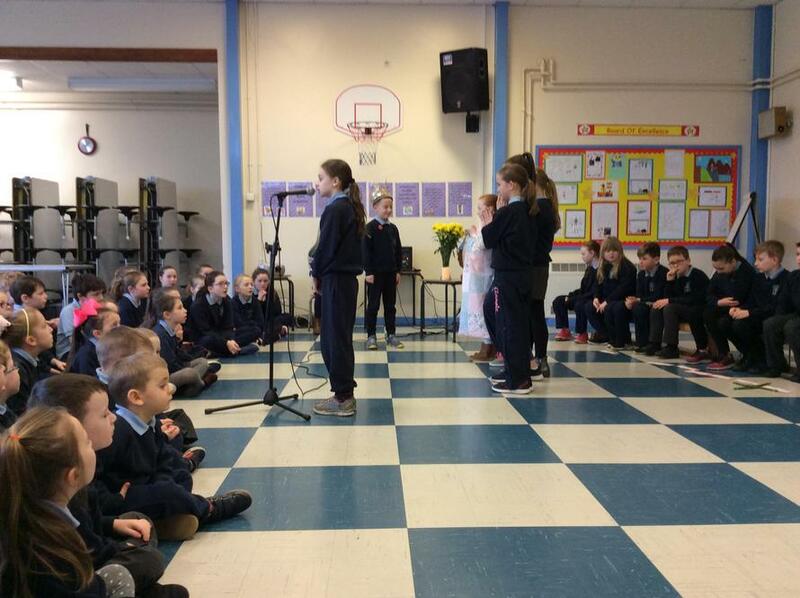 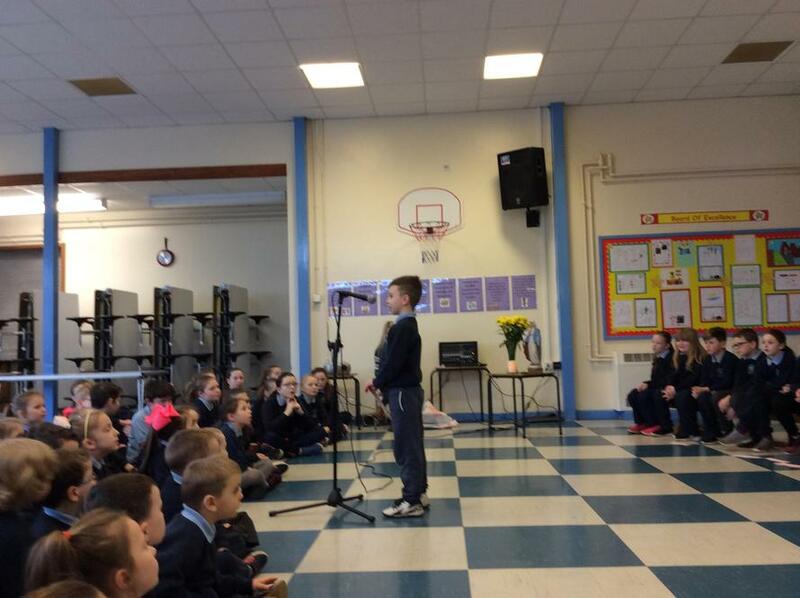 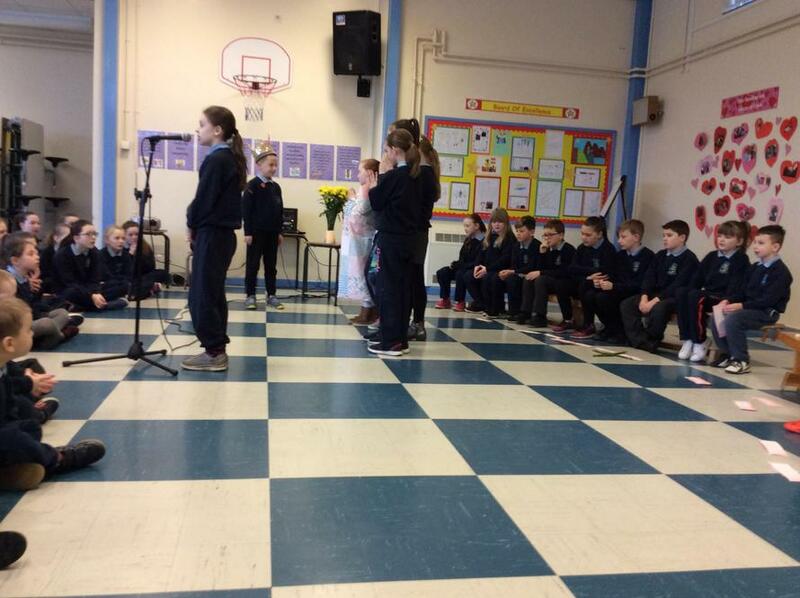 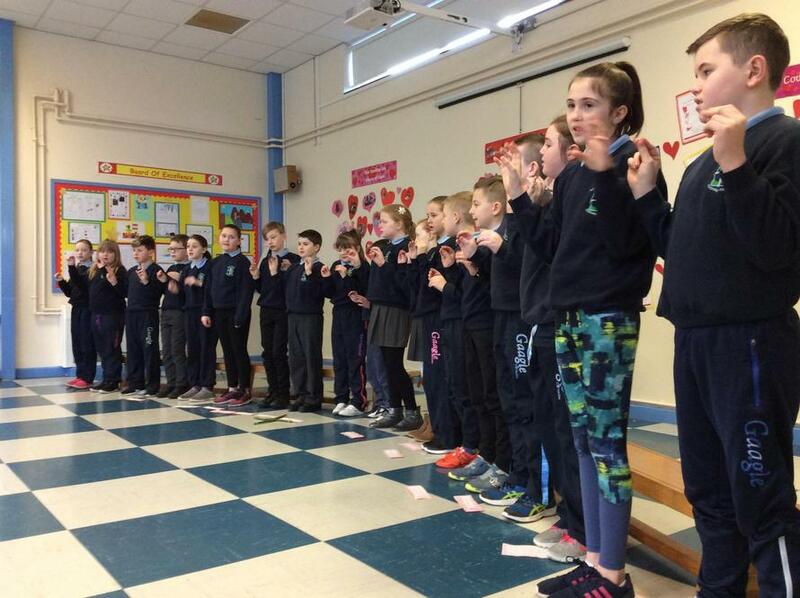 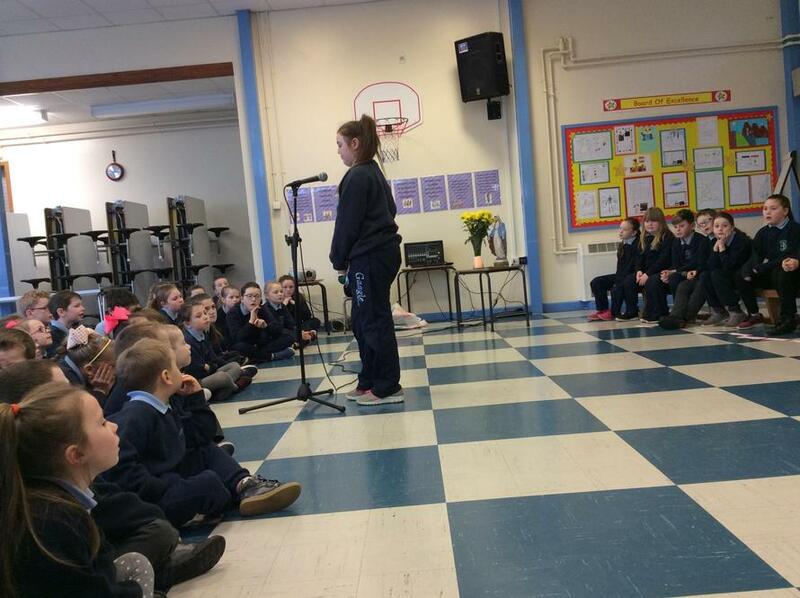 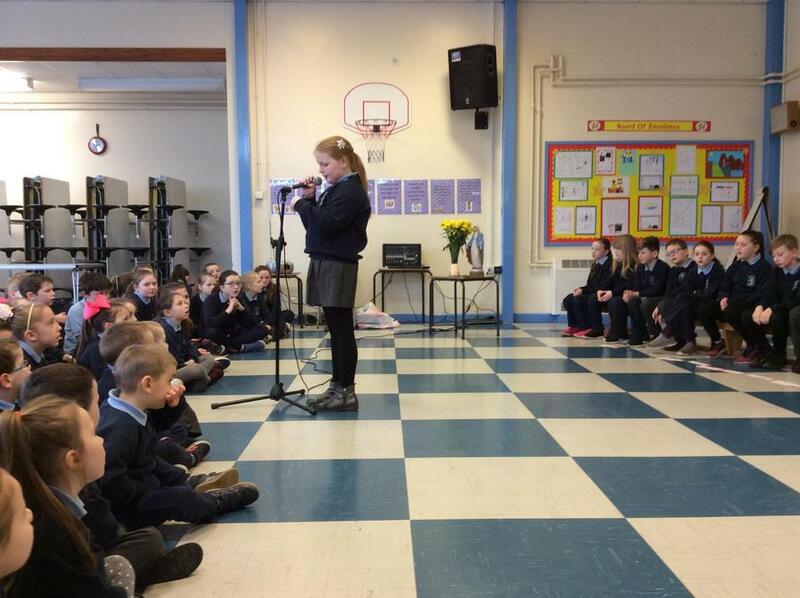 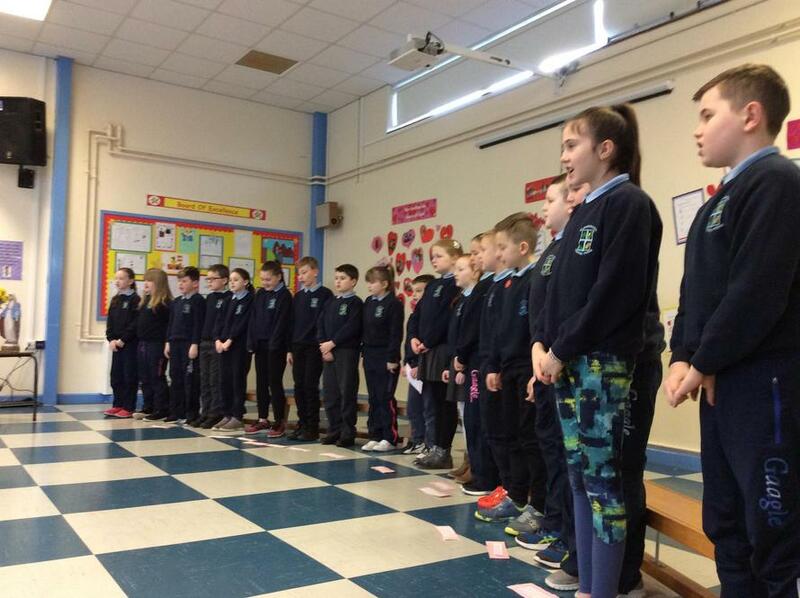 We began our class assembly by remember the story of St. Brigid. 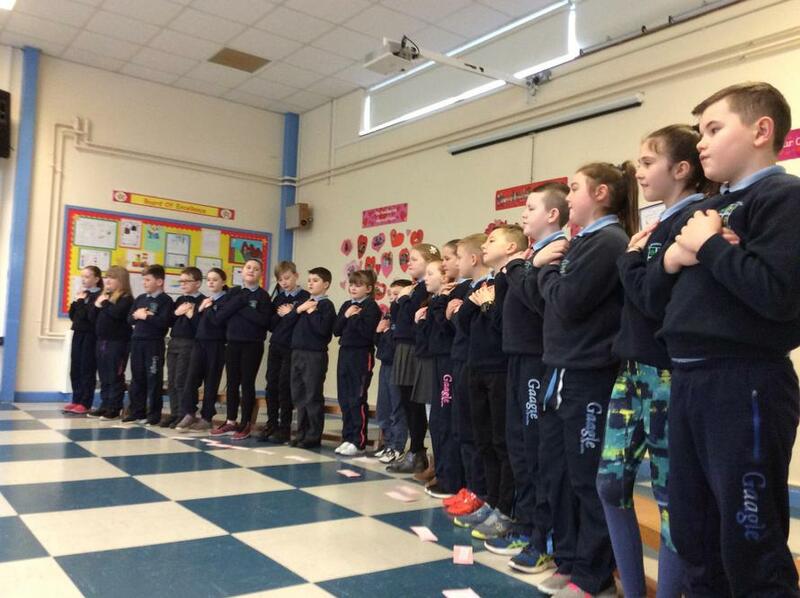 It was also Catholic Schools' Week. 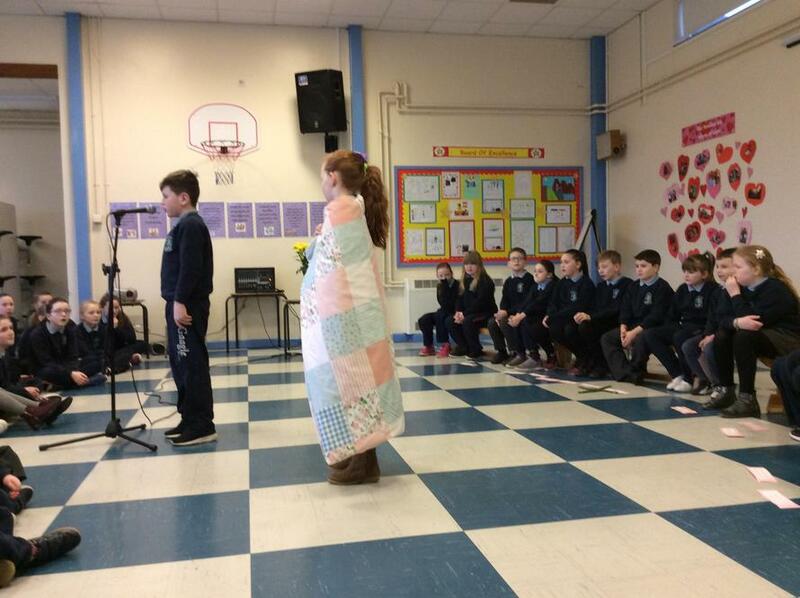 This year's theme was: "A Family of Families".